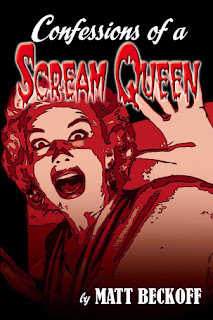 I-Am-Cheeky Kitty: Scream Queen? Moi'??? Having boyfie accompany me to yesterday's first of five PRP treatments was a god-sent. Don't think I could have managed it alone. However, as of this morning, he has dubbed me his "Scream Queen". Say whaaaaa...??? 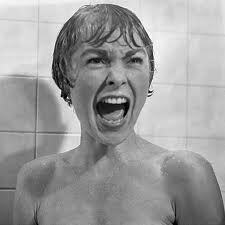 A scream queen is an actress who has become associated with horror films, either through an appearance in a notably entry in the genre as a frequent victim or through constant appearances as the female protagonist. Fay Wray is noted as the first scream queen, while Jamie Lee Curtis is notes as a woman who helped revive the scream queen title with her performance in the popular slasher film Halloween. The term "scream queen" is more specifically used to refer to the "attractive young damsels-in-distress" characters that have appeared in a number of films in the horror genre. However, experts in the industry have changed this sort of mindset and define a scream queen beyond your typical attractive damsels. In gist, they must have a brain, deliver a memorable and impactful performance and worry about something other than a guy...unless said guy is trying to kill them. Historically, the use of women in horror films dates back to the silent era with films such as The Cabinet of Dr. Caligari (1920) and Nosferatu (1922).